Creating: I have a few stitching projects underway. Hopefully I actually finish them! Planning: Book Club party this week, Thanksgiving next week, December plans- birthdays, Christmas parties, Nutcracker dates, etc. Wishing: I wasn't so cold. I have not been able to warm up the past two days. Wearing: Flannel, sweatshirts, sweats, wool socks, anything that will add warmth. Feeling: Like I am not getting enough done. Watching: Nothing. Not until Blacklist is on later this week. Eating: Tonight we had breakfast for dinner. Eggs. Lots of eggs. Wondering: When the dryer parts will arrive so the house can stop looking like a laundromat. Reading: The Hobbit, Rising Strong, The Man With a Thousand Faces. Loving: Time with my family and friends. These pictures are from yesterdays quick storm, but we have had more today and for a longer period. Only now the rain is mixed with smoke and ash. Yuck. Here's hoping for more rain than lightning and wind. And of course with the coming of the first real rain in months(I'm sure it has been months if not longer), the little people all went and ran out in it. In my life this week... Lots of introspection, I am really feeling the positive effects from taking the Soul Restoration class. Some downtime, I have a huge knot in my back that I am having trouble with. Time for another chiropractor appointment. Decluttering, I finally got through the bookcases! We're down to just one big bookcase with a smallish one in every bedroom. In our homeschool this week... Math is still the top subject here. Jack will go through 3 lessons a day if I let him. We've also been reading Good Morning Gorillas. Next week is the geography fair. Jack wants to do his project on the Congo river catfish (can you say River Monsters?). Places we are going and people we are seeing... we had tennis this past week. Jack was also able to spend a good part of a day hiking with his dad and grandpa. Homeschool park day as usual on Friday. My favorite thing this week was... Seeing Jack really enjoying our learning time. He was so excited over his math page and asking to do more when he saw them in my folder. It feels good to know that even the subjects that seem the most tedious are fun adn exciting for him. What's working/not working for us... Not working--fitting science in on a regular basis. Now that we are getting into a comfortable routine with everything else, my main goal this coming week is science. 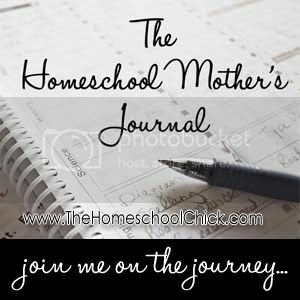 Homeschool questions/thoughts I have... Right now we are in a pretty good place with homeschooling, which never happens for us especially in January. It's nice! I feel good that he is enjoying it. Even if he starts out the day with the "Oh no not learning again!" plea, it only takes a few minutes and he is really, truly enjoying himself. Getting ready for my oldest daughters big birthday tomorrow. She will be turning 16! Getting ready for the big party this Saturday! See above. Baking cookies. And trying to keep everyone from eating them before the party. Playing the Clone Wars game with Jack. Ummm...yeah still trying to figure that out. Planning Halloween costumes and getting pieces bought and put together. Yard projects- tree house, deck. Chasing a small falcon out of our back yard. We have a falcon that has been very persistent in trying to catch one of the small chickens. Today he almost got one. :( Bad falcon. Running kids around. Did I mention lacrosse started today. Keeping water out of my ear. My last(hopefully) appointment is tomorrow. Wish me luck. birthday present shopping. Did I mention Jack's birthday is next week also? On one hand it's going to be a nice, relaxing, fun week. On the other the next 35 hours are looking a little tense. The closer I get to my doctors appointment, the more ups and downs and all around. Hopefully by the end of the week we'll have some projects done, have tried some new recipes and laughed a whole lot. Outside my window...It’s going to be a warm one. I think summer is making a comeback after all the weird weather we’ve had lately. I am thinking...about plans for the coming year-homeschool, high school and uniforms. I am thankful for... laughter. From the learning rooms...I’m deep into planning for this coming year with Jack. Trying to see what we have, what can be used and what we need. More on that in another post. From the kitchen... Alex made homemade pizza and apple pie this evening. I am wearing... brown yoga pants and a comfy t shirt that wears nicely over my still peeling shoulders. I am creating... a set of red rods/number rods for Jack. I will post a picture later. I am going...to bed, soon. I am hoping... the sore right cheek that Jack complained about tonight is all mental. Really the kid needs a break and he’s still on meds from last time. I am hearing... peace and quiet with an occasional chirp from the baby quail. Around the house... laundry is caught up, all the groceries didn’t get put away tonight I think some cupboard rearranging is in order for tomorrow. One of my favorite things...our garden. A few plans for the rest of the week: Orthodontist tomorrow and maybe a dr appointment for Jack, park day, Steven coming home from scout camp, and doing something fun this weekend which is yet to be decided.